World Health Day 2015 - Food Safety "From Firm to Plate Make Food Safe." RN Haldar. i) Grading of adductor spasticity in cerebral palsy - A new approach. Laisram N. Goyal V.
ii) Clinical and imaging evaluation of efficacy of visco supplementation in degenerative osteo-arthritis knee - a prospective interventional study. 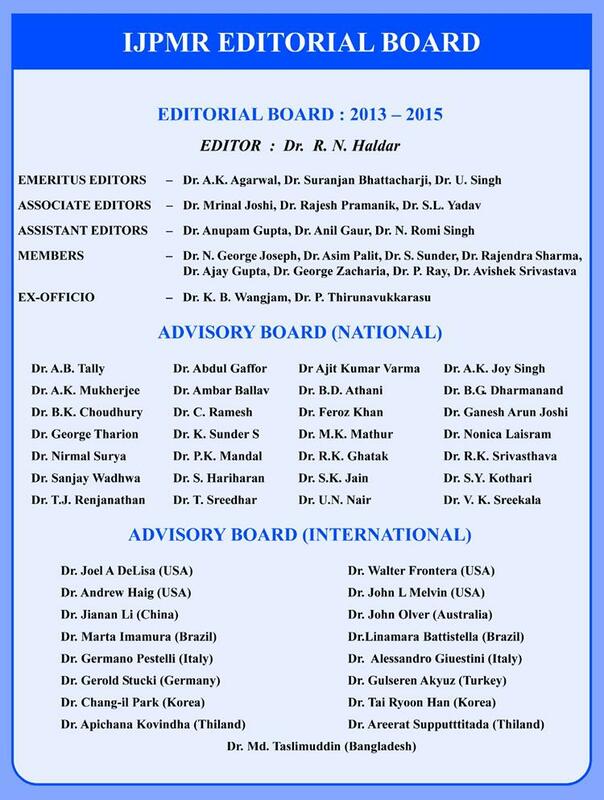 Nandi J, Kothari SY, Sharma R, Borah D, Thukral BB, Gupta R.
iii) Assessment of autonomic dysfunction in chronic complete spinal cord injury by heart rate variability. Navin BP, Joshi M, Dub A.
i) Tibialis posterior tendon transfer in post injection common peroneal nerve palsy in a pediatric patient. Kumar D, Pebam S.
LMN type of 7th cranial nerve palsy with cutaneous manifestations. 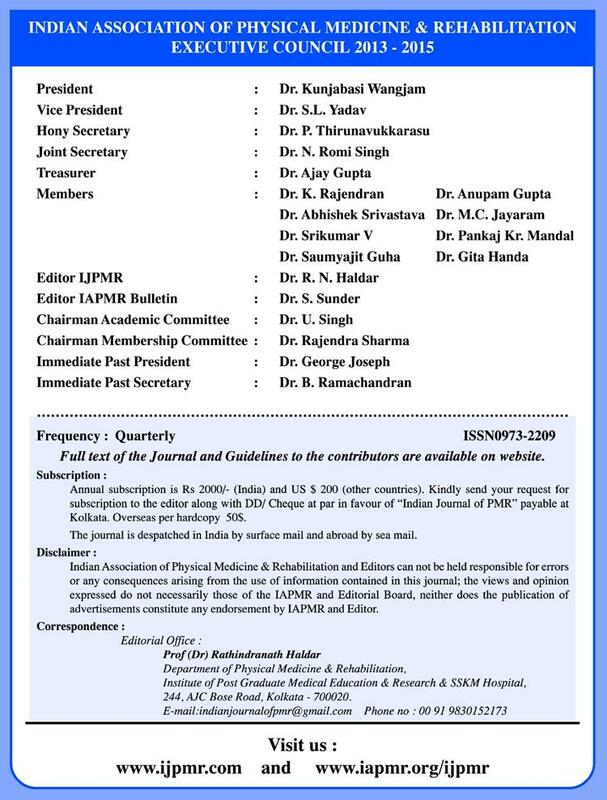 Pramanik R.
Disclaimer: The contents of this journal are not for the consumption of general population and are also not intended to help the public use this information to treat any medical condition or indulge in practice of rehabilitation of the persons with disability, themselves. The public in its own interest is advised to consult their doctor for advice on the management of their medical conditions.